Family road trips or relaxing drives can be a great way to spend time during the summer, but they can also be cause for serious security concerns. On long summer drives, people are more likely to be tired behind the wheel, road collisions and breakdowns on the highway during the summer months are becoming far too common. If you’re serious about preparing for the worst in any situation, then you’ve probably got plenty of supplies at home and plenty of precautions and scenarios you run through on a daily basis, but have you considered your car? Using a yacht as a getaway vessel gave us some advantages. 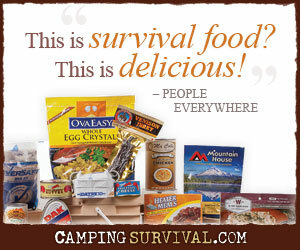 Using freeze dried foods takes water and we carry a finite supply, or we did. We have now installed a reverse osmosis watermaker aboard our boat too. We can now turn salt water into drinking water at the flip of a switch.